I’ve been on a search a lot lately for simple, intricate, dainty, jewelry. I really only justify spending money on jewelry when it’s intimate, and includes some sort of ‘from-scratch’ business so to say (i.e. supporting a local business, small business, etc.) Every time I’ve bought jewelry here and there from places like Forever 21 or Gap, even Anthropolgie at times, etc…they just feel a bit cold and processed. I even honestly worry about really who makes they’re jewelry. So these days, when I go to find pieces I start with places like Etsy, and Leif, which have now become my go-tos. With that being said, how pretty are these rings I found browsing my phone this am? Each one is handmade, so every one is one-of-a-kind- shop them via Leif. xoxo Hope you had a lovely Monday. 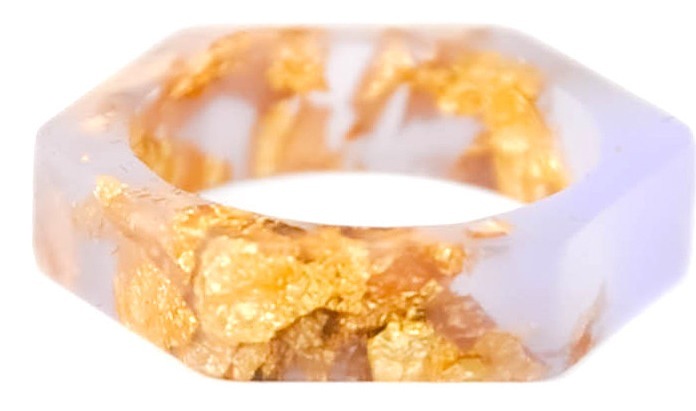 What are your favorite places for fun, one-of-a-kind, jewelry? I finally found it. The perfect, simple, ring that I plan to never take off. 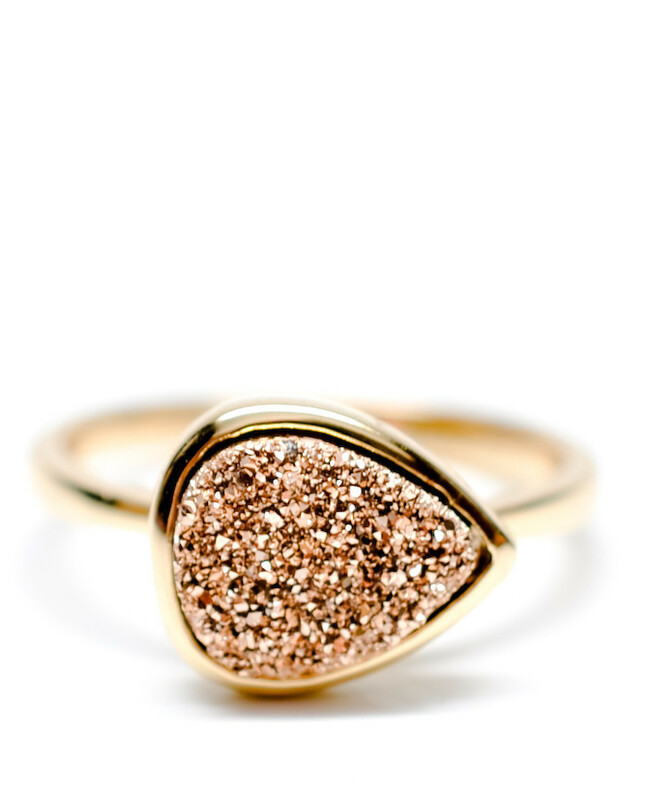 The Drusy Drop Ring in Rosegold from Leif. Who has now become one of my cult-worthy go-to online shops for just about anything that is amazing, and definitely one of a kind. 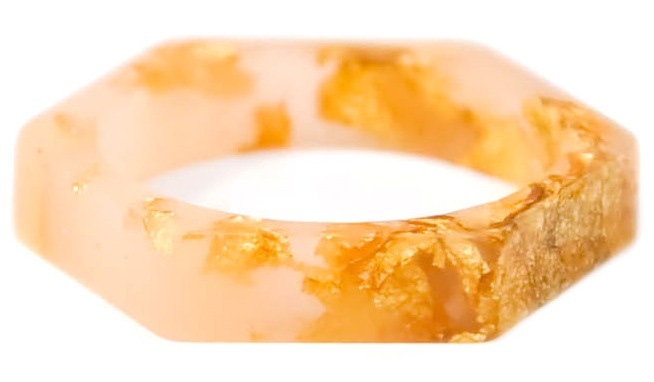 How lovely would this ring be, well, always?